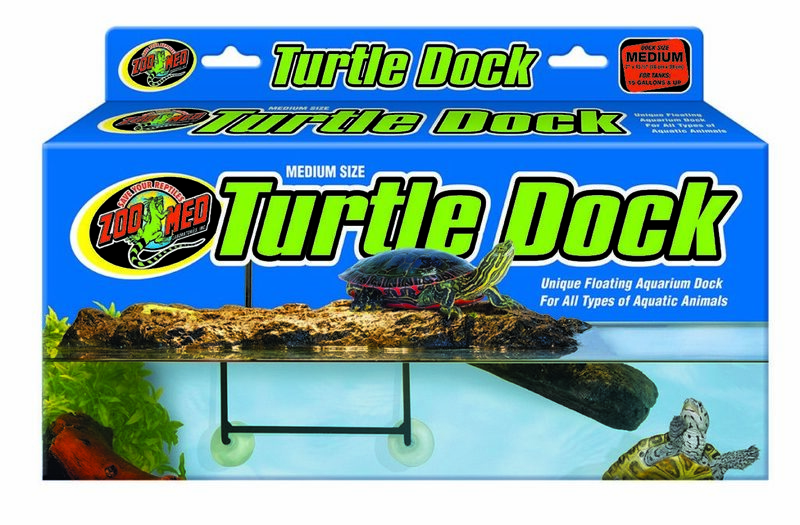 Turtle Dock® and Turtle Pond Dock® | Zoo Med Laboratories, Inc. The Zoo Med Turtle Dock® and Turtle Pond Dock® are unique floating docks for aquatic turtles to bask on. A self-leveling feature automatically adjusts to all water levels. The submerged ramp allows Turtles easy access to a dry basking area for maximum exposure to heat and UVB lamps. 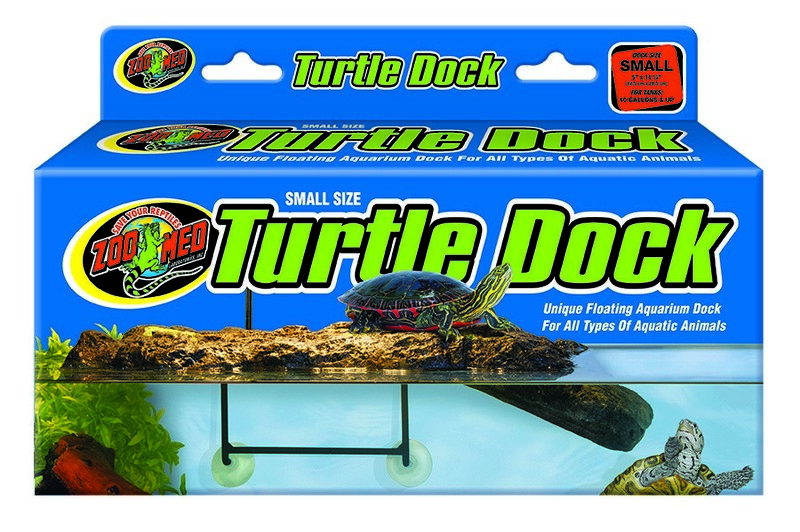 Available in multiple sizes to easily accommodate any size aquatic Turtle. Zoo Med’s Turtle Dock® makes for a great basking spot for a variety of Aquatic Turtles. Let Ashley help you set it up. Q: How do I clean my Turtle Dock®? A: The dock can be rinsed with warm tap water. A soft scrub brush can be used to remove algae from the dock. 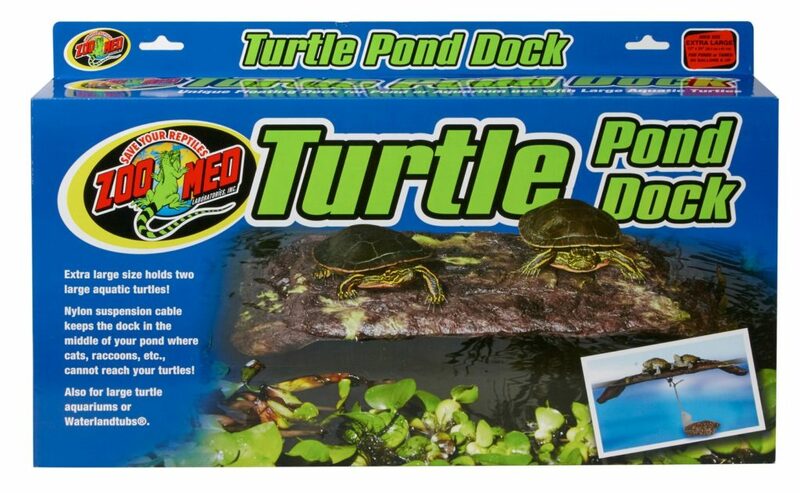 Q: The suction cups for my Turtle Dock® aren’t sticking to the glass any more. A: You can try soaking the suction cups in a mixture of hot water and white vinegar. This process should revive them. You can also scrape the water deposits off of the glass to be sure that the suction cups can stick to the glass. 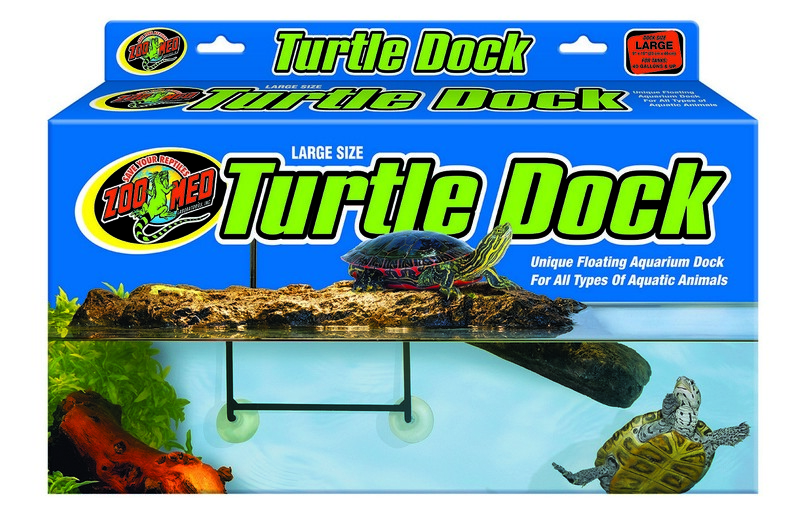 Q: On the Extra Large Turtle Pond Dock® (TD-40), how long is the included string? The size of the bag?